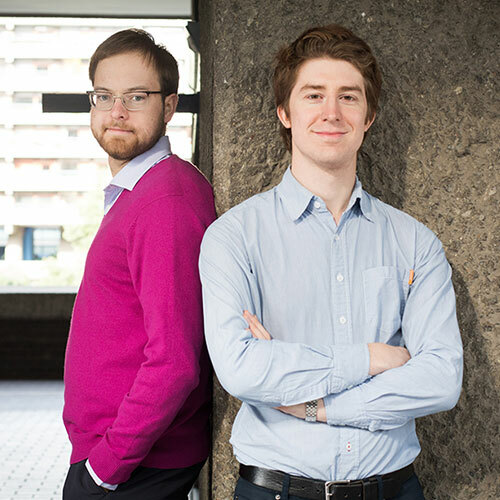 Michael Foyle and Maksim Štšura started their collaboration in 2012 and have since performed extensively in prestigious venues across the United Kingdom including Queen Elizabeth Hall, Buckingham Palace, Wigmore Hall, St. Martin-in-the-Fields, St James’ Piccadilly, and at the Philharmonia/Royal College of Music Lutosla. Praised for ‘playing of compelling conviction’ (The Daily Telegraph) and ‘astonishing mutual feeling, understanding and responsiveness’ (Seen and Heard International), Foyle-Štšura Duo won the Beethoven Piano Society of Europe Duo Competition and the Salieri-Zinetti International Chamber Music Competition in 2015. Since then, they have performed recitals in Wigmore Hall, Purcell Room, Buckingham Palace, Bridgewater Hall, Usher Hall, Amsterdam Concertgebouw, as well as for the New York Chamber Music Festival, Cervantino Festival in Mexico and Evgeny Mravinsky Festival in Tallinn and St. Petersburg. Their performances have been broadcast on BBC Radio 3, NPO Radio 4 and Estonian Klassikaraadio. 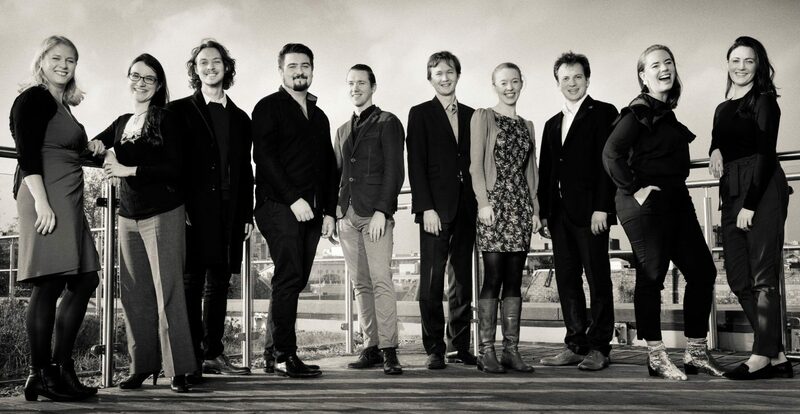 Formerly Park Lane Group, Kirckman Concert, Making Music and Live Music Now artists, receiving masterclasses from Stephen Kovacevich and Maxim Vengerov, they are now City Music Foundation Ambassadors. In 2018 they record their debut CDs – complete works of Penderecki and Lutosławski for Delphian Records and a World War One recital release for Challenge Records. Born in Ayrshire in 1991, Michael gave his concerto debut in Edinburgh Festival Theatre aged eight. He went on to win the BBC Young Musician of the Year Tabor Award 2008 and the Royal Overseas League String Competition 2013, before studying at the Vienna Konservatorium with Pavel Vernikov and in London with Maureen Smith and Daniel Rowland. Upon graduation from the Royal Academy of Music, he was awarded the Regency Prize for Excellence and the Roth Prize for the highest violin mark of the year. He has premiered solo and chamber works by over 25 living composers. Michael plays a Gennaro Gagliano violin (1750) on loan and is represented by Interartists Amsterdam. In addition to his solo and chamber performances this season, he is invited as Guest-Leader of BBC Symphony Orchestra and as Violin Professor at Royal Academy of Music. Maksim Štšura (piano) won First Prizes at the Beethoven Intercollegiate Piano Competition (2013), the Estonian Piano Competition (2008), the Steinway-Klavierspiel-Wettbewerb in Germany (2004) and the International Frederic Chopin Piano Competition in Estonia (2000). He has appeared as soloist with orchestras such as the Amadeus Chamber Orchestra, Estonian National Symphony Orchestra, Saint Petersburg State Academic Symphony Orchestra, Wiener Kammersymphonie and the Chester Philharmonic Orchestra. As a chamber musician he is in great demand, collaborating with Jakobstad Sinfonietta (Finland), Mediterranean Chamber Brass (Spain) and Florin Ensemble (UK) among many others. Maksim studied at the Estonian Academy of Music and Theatre with Ivari Ilja and on exchange at the Hochschule für Musik und Theater Hamburg, before moving to London to complete his Masters and Artist Diploma degrees with Gordon Fergus-Thompson at the Royal College of Music. He has additionally received masterclasses from Dmitri Bashkirov, Stephan Hough, John Lill and Eliso Virsaladze. Alongside his performing career, Maksim is currently completing a Doctoral course at the RCM, where his research is focused on the piano transcriptions of the contemporary orchestral scores. He is also a Trustee of the Mills Williams Foundation.